Whether you’re looking for an editor or writer, I will help make your latest endeavor as beautiful and well-written as possible. I consider myself a jack of the editorial trade, offering a number of services that include general editing and proofing, copywriting, copy editing, resume building, blog writing, and manuscript editing/proofing. Looking for that last marketing touch to really help supplement your story? 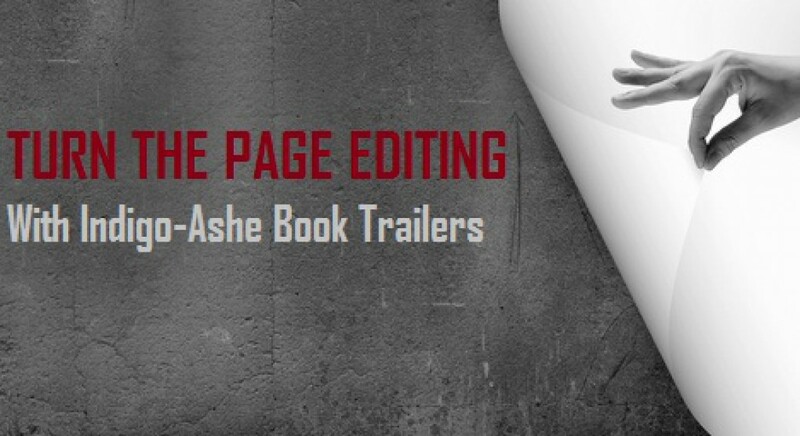 Indigo-Ashe Book Trailers is the way to go. Creator Sheilah Randall exhibits an eye for provocative imagery and audio, while doing so within a budget. FOR A LIMITED TIME, we are offering a special package deal for all authors who are receiving editorial services with Turn The Page Editing. Of course, you can also purchase book trailer services without the editing. If you are dying to see your book in a cinematic form of sorts or in need of editorial services, just submit your request via our contact form.